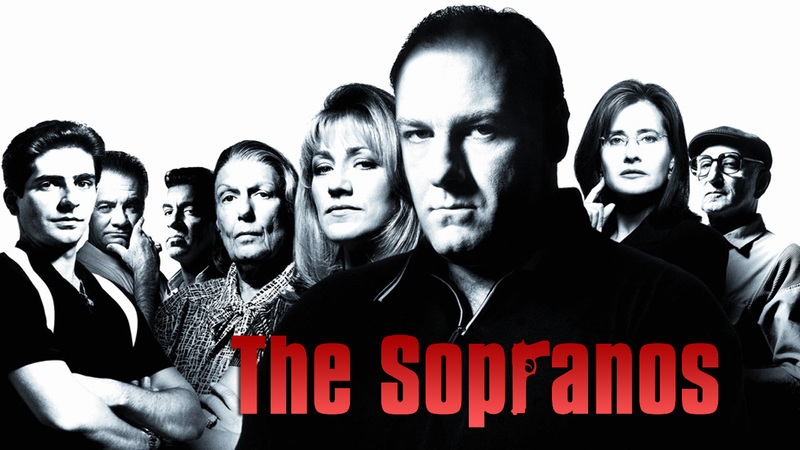 I was a bit (ok, ok, really) slow with starting watching “The Sopranos” and I only got into the series years after its actual release (must be a thing we do here at #rinsebeforeuse it happened to us with Looking, Jane the Virgin and Girls). Six years of the famous mafia series was a decent look into how love and romance work in the gangster Italian American community. The gangster world presented in the series is full of tough men and big boys. They shy away from showing their emotions and even though it leads them to trouble (the main character, Tony, ends up in therapy after severe panic attacks) they believe that’s the only way a man should be not the be. Of course, a “real” man has to prove his status with a beautiful lady by his side. A wife or a fiancée is a must there, but she’s not enough and in the work of Sopranos cheating is on rise. Prostitutes, strippers but also just normal eye candies they have affairs with – the series is full of them. I would maybe think that it’s a harmful vision of the the Italian culture if I hadn’t lived in Sicily for a while where in the normal world extracurricular romance seemed to be not only widely spread but also socially accepted. In 6 seasons of “The Sopranos” there’s only one character who remains faithful. I spoke about the men in the series but how are the women who accept such behaviors? The mafia ladies, unlike the kept women, take pride in their households. They cook, they take care of children, the only thing they don’t do is cleaning as they have Polish maids to do so (who speak obviously fake Polish which sounds so bad that you start asking yourself whether they’re not mentally challenged). Some of them try to work but it’s not encouraged by their men . In general they lead pleasant lives, with the big price to pat for it. As Tony puts it to his wife who makes him a scene for yet another affair of his she discovers, she knew “the deal” when she was marrying him. The cheating is just to be accepted. s a part of the world that cannot accept him as he questions the limiting idea of masculinity it adheres to. “The Sopranos” is a great series that’s definitely worth watching and if someone is a fan of gangster vibes like me, they honestly can’t miss it. Have you seen the series, Dear Reader? What are your opinions on the show? I miar say I quite enjoy watching series when they’ve been already released on DVD and when my watching can be “on demand” and not limited to one episode weekly. I’ve watched every single episodes. I’m quite happy where the show ended and enjoyed the open ending. Did you like it? I know it caused apt of controversy. I did like it for most of what I watched. I’m really late to be commenting on this, but after this small review, I’m going to start watching the Sopranos, I’ve put it away for long. Thank you for your comment! It’s definitely worth your time. I’m glad I’ve inspired you to watch it.